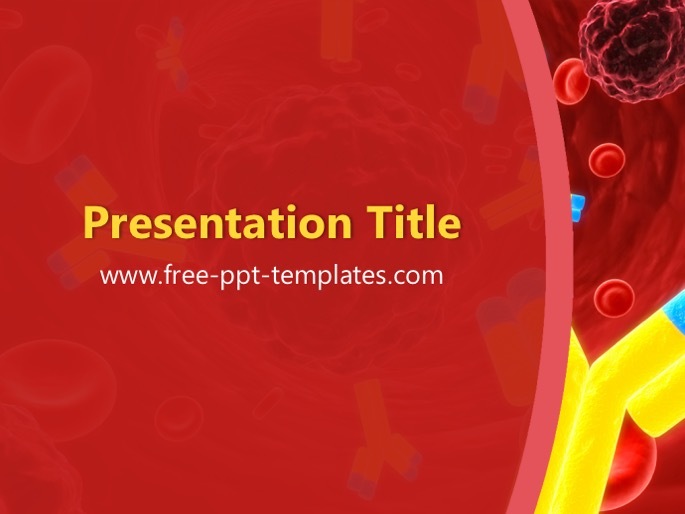 POWERPOINT TEMPLATE DESCRIPTION: Immunology PowerPoint Template is a red template with a background image of cells that you can use to make an elegant and professional PPT presentation. This FREE PowerPoint template is perfect for educational presentations about immunology, classical immunology, clinical immunology, diagnostic immunology, developmental immunology, immunologists, immune system, genetics, bacterias, virus, immunodeficiency, autoimmunity, biochemistry, cell biology, immunotherapy, etc. There is also a free Hematology PowerPoint Template that maybe can be the best background for your PowerPoint presentation. Find more similar templates here: Medical PowerPoint Templates.